This is a real soul cocina, that's soul kitchen, or soul rasoi in Hindi, or in Konkani soul ranchikud. Ranchi means to cook, kud means room. 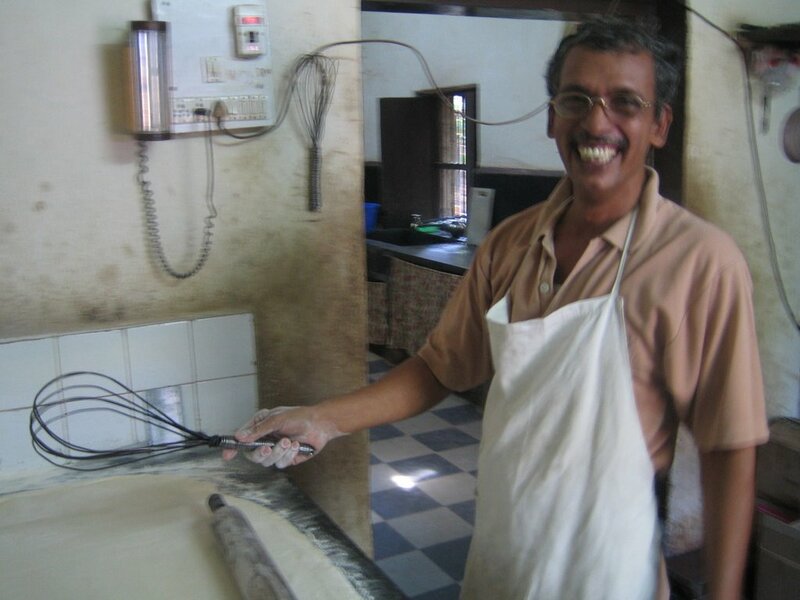 Jila Bakery in Raia, South Goa near Margao has a real soul ranchikud. They make everything by hand, the old fashioned way with real ingredients. No commercial mixes, no dough sheeters, no kitchen aid mixers, no hobart mixers, no thermometers, no substitutes, no joke. Everything is made by hand, as you can see from the photos of these two happy bakers who happen to be brothers. The pots are all handmade copper pots that the family made. 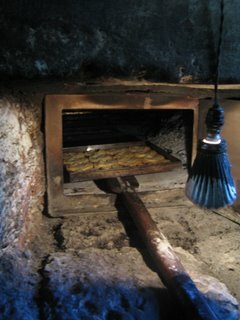 They built their own wood burning, coal oven. There are no temperature gauges, they know when the temperature is right for there eclaires, macaroons (melt aways), and palmiers. They cook sugar for fondant by eye. 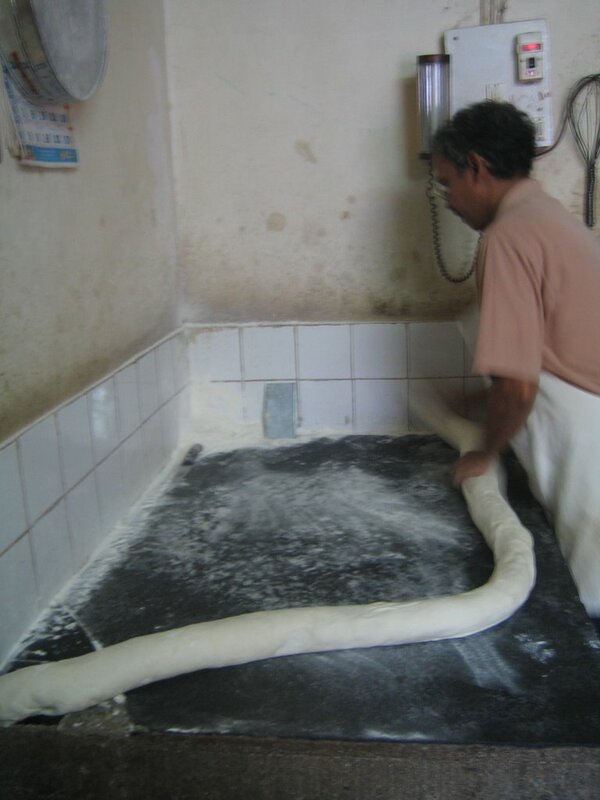 The gas and electric company came to the bakery to ask how they could provide so many tastey treats to Goan households and restaurants with such a low energy bill. The bakers showed them their tools. Wooden spoons, copper pots, hand whisks, and a brick wood fired oven. Electricity is only used for a few fans and lightbulbs in the bakery and a few common electrical things in the home part of the home-bakery. The bakery was started 30 years ago by a trained and accomplished baker and his family. The baker was a top pastry chef at the Taj Hotel in Bombay before returning to Goa to open his shop, Jila bakery. 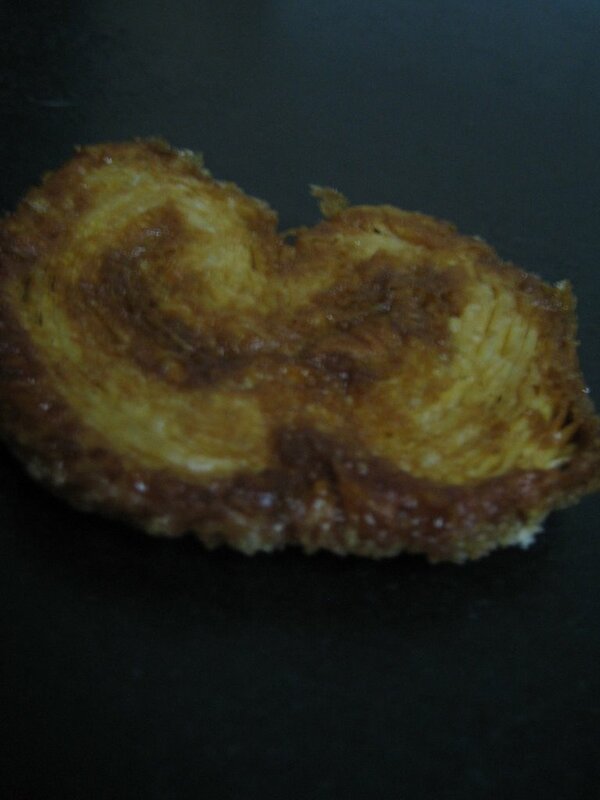 When the chef passed away his sons continued to carry on the tradition with the same love and skill. I just happened to find Jila bakery on my way to meet with the famous Goan Chef Fernando of Nostalgia Restaurant, also in Raia, South Goa. I stopped, on my way to Nostalgia, at a jam shop to see if I could learn how they make and package the jams. I was hoping for another lesson in jams and canning to add to what I learned last year at June Taylor's marmelade class, where we learned to extract pectin from lemons. Or maybe pick up some canning secrets to add to what I have learned with Sara Ko. Unfortunately, they didn't let me in behind the scenes (the owner was not there), but they directed me to "Goa's most famous bakery", which was just around the corner on a peaceful road behind some flowering trees. I was welcomed in as soon as I arrived and the lady who greeted me gave me some samples of some sweets. They were happy to show me the bakery and they even showed me how to make their famous palmiers. I made a little video of the palmier demo with Konkani music for the soundtrack. 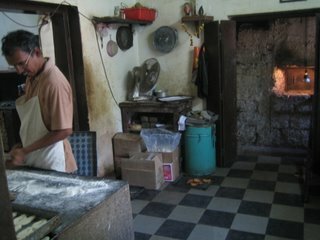 One of the two brothers is also a musician and he gives music lessons at the home bakery. They showed me a video of a news piece about Goan food that was hosted by legendary cartoonist and comedian Mario Miranda. Mario visited the bakery on the show and interviewed the family. He even got some footage of the musician brother teaching violin. I do not remember the bakers'names, but I will be bake to Jila bakery soon. 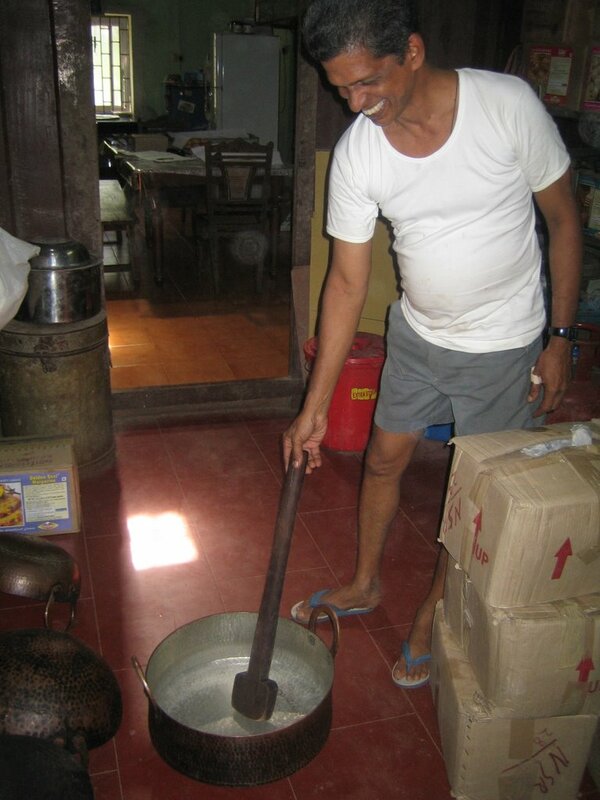 Slow cooking in Goa.